The still is finished and inspected at Venodome Copper and Brass Works. 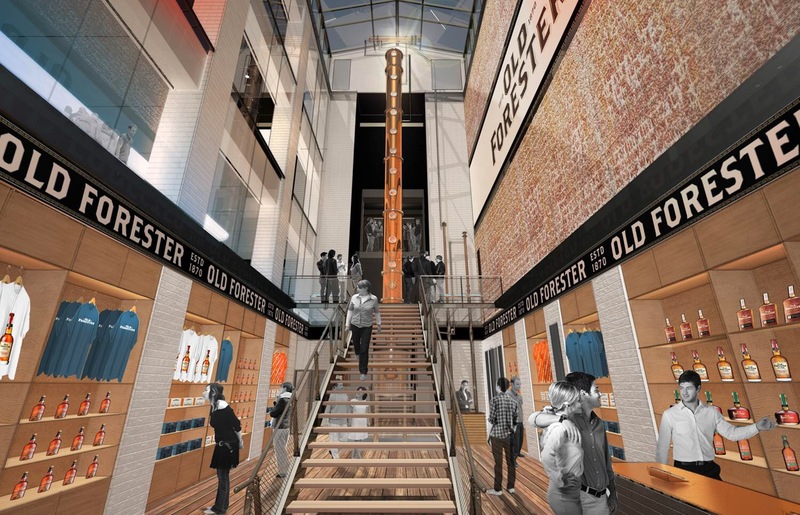 Over the weekend, Old Forester installed the centerpiece of its new distillery – the column still. Produced by Vendome Copper and Brass Works, the Old Forester still is 24 inches wide and 44 feet tall, weighing in at 4700 lbs. 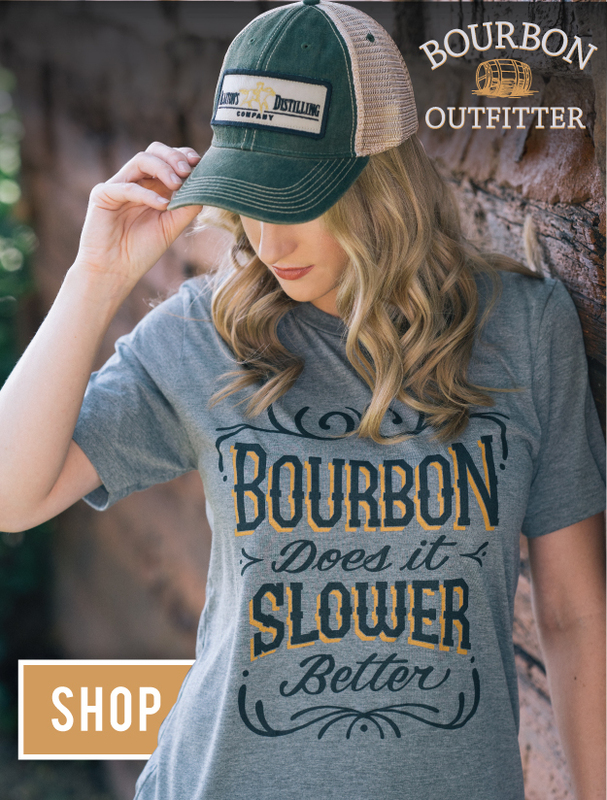 The column still’s key role in bourbon making is the separation of the fermented mash (corn, rye, malt and barley) to create ‘new spirit,’ essentially serving as the heart of the distillery. The column still traveled down Main Street from Louisville’s Vendome company for installation. 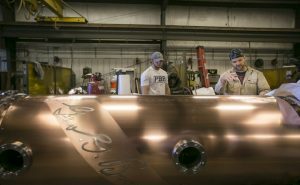 The still was lifted from a flatbed truck by a crane built inside of the distillery footprint. It was then raised up and over the several story building facade into the distillery and affixed to the interior wall. Reception area at the new Old Forester Distillery. 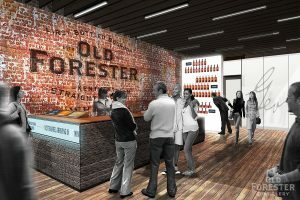 Old Forester returns to its roots with this distillery, as Brown-Forman originally occupied this very location on Whiskey Row between 1900 and 1919. The installation of the column still is an integral milestone in the construction of the Old Forester Distillery, bringing it another step closer to completion, which is expected late spring of 2018.